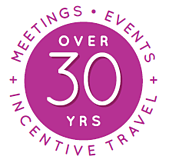 Learn more about our Incentive Travel, Meetings, Events and Experiential Marketing services. Our mission is to design and deliver live experiences that build loyalty to your brand. More than our mission, it’s our commitment. Brand loyalty is at the heart (literally) of every solution we develop, every moment of connection we serve up, and every reaction we elicit from your most important audiences. Rallied around your priorities and plans, we keep your brand near and dear to their hearts—wherever the need takes us. 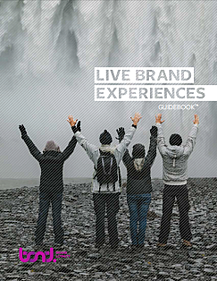 Our Live Brand Experiences team covers serious ground (and a few oceans) in pursuit of this mission. With over 30 years experience designing custom solutions for audiences of all types, we’re experts at building loyalty through authentic and personal connections. Our world is fast, yet organized, human, and inventive. We pride ourselves in creating unforgettable, share-worthy moments that do valuable work for brands all over the world. Check out what we love to do in this fun, informative guide or, better yet, let’s connect live!